The school year is winding down here at Kidstown Learning Center, but that doesn’t mean there isn’t plenty to still be excited about. Our Lake Worth kids daycare has plenty to offer to our students and their families all throughout the month of May, starting with a fun day where children bring in their favorite animal toys from home and ending with graduation rehearsal for our Lake Worth VPK students. 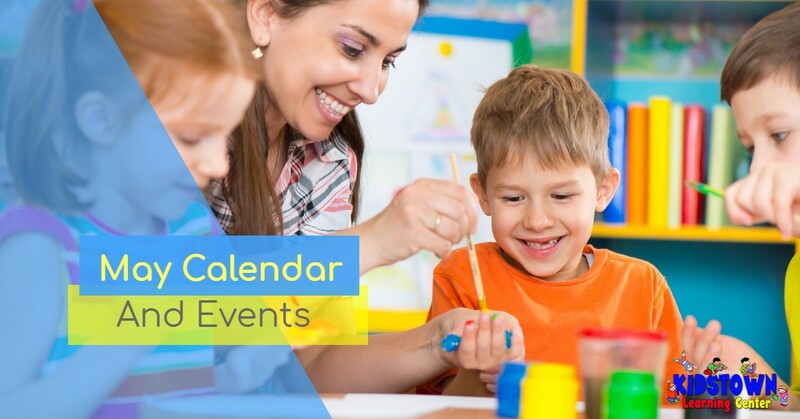 Keep reading to learn more about the fun activities we have planned for our kids daycare, and be sure to contact Kidstown Learning Center in Lake Worth to learn all about our summer camp kids daycare program, which gets started this June! The first week of May kicks off the right way, with fun-filled activities for all of our students and daycare participants. On Tuesday, May 1, we will start the month by having children bring animal toys from home. The following day, May 2, our classroom activity will be to create our very own telescope to explore the skies. On May 3, we will stick with the same theme and help students to create stars and design their very own sky. We’ll end the week on Friday, May 4, by having children share their favorite toy animals and talk about them with teachers and fellow students. May 7: Dental Health Education with Ms. Ginger. May 8: Do you have your tickets to the carnival? We’ll be creating a circus in our VPK classrooms! May 9: VPK will continue the circus theme by making a clown out of shapes. May 10: Our four-year-olds will make paper plate circus tents to keep up with the theme. May 11: We’d love to invite our beloved mothers in for a tasty Mother’s Day breakfast at Kidstown Learning Center! This week is all about colors and parades! On Monday, May 14, our VPK students will learn how to make their very own parade stick. Thursday, our One’s will color circus animals, and Friday (May 18) our Four’s will make a parade craft. May 21: Paper plate ring toss with VPK students. May 22: Making clown hats with our Two’s. May 23: Creating carnival masks with our Four’s. May 24: Colorful dress-up day to create our own carnival! It’s the last week of May! Keep in mind that our Lake Worth kids daycare will be closed on Monday, May 28 for Memorial Day. We’ll be back on Tuesday, May 29 to share our Memorial Day experiences. On Wednesday, our Three’s will play on the beach! And on Thursday, May 31, our VPK students will have their graduation rehearsal. May is an exciting time here at Kidstown Learning Center. We invite all of our students and their families to share in the fun! Contact our Lake Worth kids daycare today to sign up for our summer daycare program.